How do I convert planned joinings to actual joinings? 1. Select the animals that you wish to apply the change to. See screenshots below for further details. 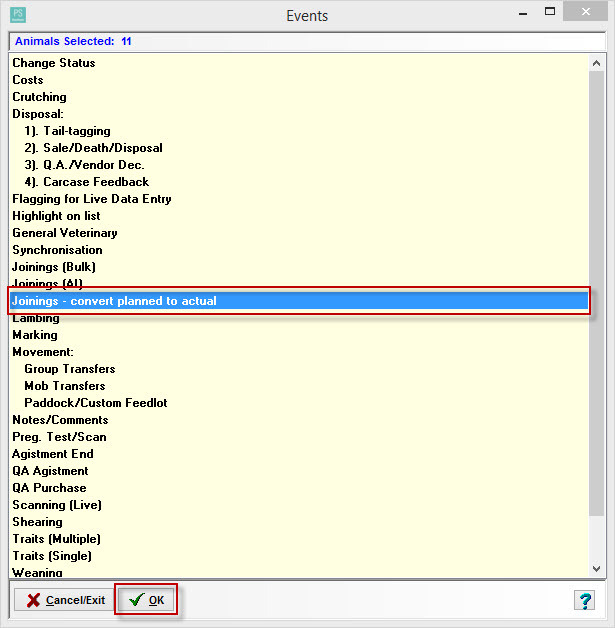 If the date of the actual joining is different from the planned date you can change it here. If the date is unchanged leave it blank.